Perspective is everything in a cappella. The way that one group views and interprets a song is almost always completely different from another group. And this is what makes each performance we stumble upon so refreshing and exciting. 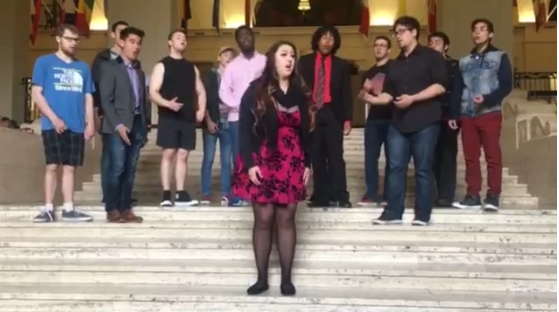 That being said, we're not sure how this arrangement of "Home" originally by Phillip Phillips came to be, but boy are we lucky that Oregon State University's Divine and Outspoken collaborated on it. Think of Boyz II Men and Mariah Carey's unstoppable track "One Sweet Day" or Celine Dion and Andrea Bocelli's moving song "The Prayer," there is a similar emotional connection that we're feeling in regards to "Home." While there is only a single soloist, every instrument perfectly falls in line and the blend of the vocals stirs something deep within. We would be doing a disservice if we didn't award this video today's #WCW. We hope you enjoy!